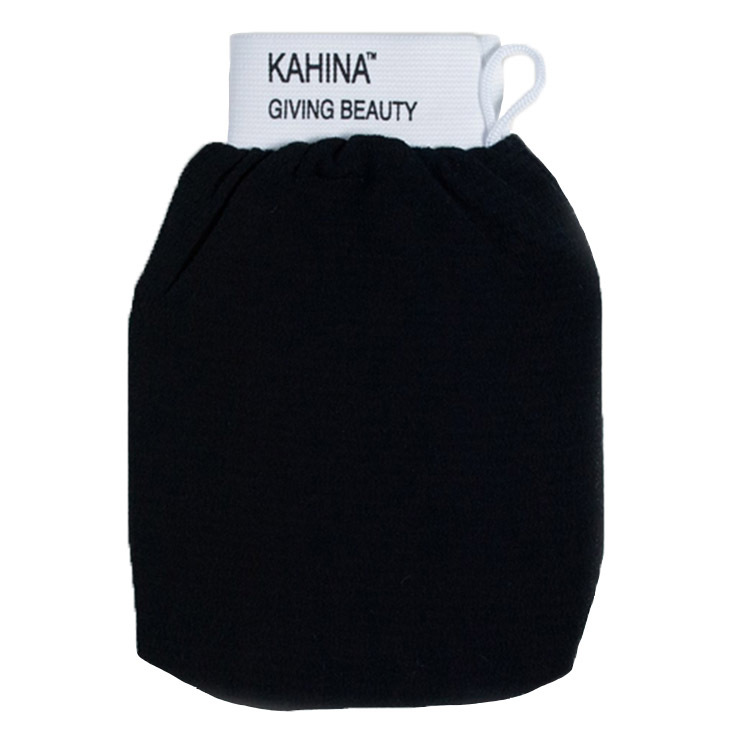 Kahina Giving Beauty imports the Kessa Mitt which is a traditional and highly-effective mitt that can be used daily to visibly improve the look of vitality, smoothness, and glowing skin. While the Kessa Mitt is the perfect companion to Kahina Giving Beauty's Beldi soap, it's also ideal for pairing with your favorite body product. Begin by warming the skin in steam of shower for 2-3 minutes. With the water turned off, apply a thin layer of Kahina Giving Beauty Beldi Soap from feet to neck and massage into a lather with hands. Allow the Beldi Soap to sit on the skin for 3-7 minutes, then follow with a vigorous body massage in circular motions using the exfoliating mitt by Kahina Giving Beauty. Rinse with warm water.